TBG is known for its exclusive bridal packages for South Indian brides. Whether Tamilian or Keralite or any of the other South Indian communities; whether a Hindu or a Christian; TBG has customised packages for all the brides under the exclusive service of Custom Bridal Package. 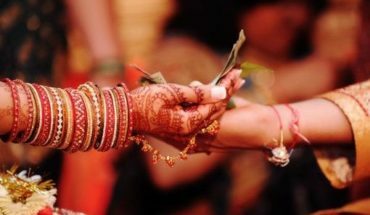 It is a boon for all South Indian brides irrespective of the communities. What is a TBG Custom Bridal Package? There are various combinations of different beauty treatments under the different custom bridal packages. From bridal makeup to hairstyling, from the bridal lehenga to Mehendi, jewellery, and personal grooming, all sorts of beauty services are being included in the different custom bridal packages. There are four different custom bridal packages available and thus the South Indian brides are spoiled for choices based on her taste and budget. Different packages are made for the Muhurtam or the Wedding Day and Reception day. TBG Diva 1-Day Bridal Package, TBG Queen 1-Day Bridal Package, TBG Magical 2-Day Bridal Package and TBG Signature 2-Day Bridal Package are the four major custom bridal packages offered by TBG. Why is a Custom Bridal Package a boon to you? 1. Easier to choose four desired PRIMARY services as one package. 2. Get multiple beauty treatments in one single package and choose accordingly. Get two sessions of High definition Premium Makeup and Hairstyling with complimentary Sari or Lehenga draping under TBG Magical 2-Day Bridal Package which falls under the packages of Multiple Occasion Bridal Packages: Muhurtam AND Reception. 3. Cost effective than choosing individual services without compromising on quality. 4. TBG consultants give end to end support and special attention for the custom package choosing TBG brides. They’re treated as TBG value customers. 5. By choosing custom package brides save up to 25% of expense by availing TBG Signature 2-Day Bridal Package coming under Multiple Occasion Bridal Packages: Muhurtam AND Reception. Here you get to enjoy two sessions of Celebrity Makeup and Hairstyling with complimentary Sari or Lehenga draping/Bride’s choice of Two Bridal Jewellery sets of various designs made with different First category metal or stones, from head-to-toe, from the catalogue (both online and shop selections are available)/Blouse Stitching service for Two custom bridal blouses with Grand full pattern work/ Advanced Bold and bigger intricate Bridal Mehendi for complete hands and feet. SO MUCH at ONE GO! 6. Time-saving as you don’t have to curb out time for different beauty treatments on different days. 7. South Indian brides who want to have a single day service from TBG i,e either for the Muhurtam or Reception, can choose from either of the TBG Diva 1-Day Bridal Package or the TBG Queen 1-Day Bridal Package which fall under Single Occasion Bridal Packages: Muhurtam OR Reception. 8. Custom packages are designed after a lot of research by identifying the real needs and preferences of customers and also understanding the trend of industry; so brides can just blindly pick any package that comes under her budget ranging from 30,000 INR to 70,000 INR. 10. For the brides who opt for a different service other than the specified one in the package, TBG consultants make alternate arrangements and do right alterations for other services as desired by the bride. What else can you ask for? 11. We have special services for NRI Brides as well. Though brides who live abroad tend to opt for this custom package more, rural side brides get more benefited because they get high-quality service under their budget and also TBG consultants arrange all services to reach out to even remote locations. Can you beat this? 12. Brides who take up any one of the custom packages get a flat 10% discount on beauty services like facial, Spa, waxing etc. TBG Custom Bridal Packages are designed keeping in mind the individual needs and preferences of the bride. By booking TBG’s custom bridal packages, you not only get the services of your choice by the expert professionals, but it also reduces a lot of your efforts in arranging different services from different salons and parlours.